Gotham 2x11 "Worse Than A Crime" (Fall Finale) - When Bruce Wayne is kidnapped, Gordon must look to some unlikely and dangerous allies for help. It is a battle of the villains, and not everyone makes it out alive in the all-new “Rise of the Villains: Worse Than A Crime” Fall Finale episode of GOTHAM airing Monday, November 30th on FOX. Minority Report 1x10 "Everybody Runs" (Series Finale) - The precogs and Vega must come together to thwart a chemical attack by Memento Mori, meanwhile Blomfeld (guest star Reed Diamond) is determined to get the precogs back in the milk bath in the all-new “Everybody Runs” Season Finale episode of MINORITY REPORT airing Monday, November 30th on FOX. Once Upon a Time 5x10 "Broken Heart" - In a Camelot flashback, Hook becomes a Dark One and his lust for revenge against Rumplestiltskin is reignited. When Emma and Hook disagree about their best course of action, the final pieces of the puzzle are revealed as events in Camelot catch up to the present and we witness a charged confrontation between the forces of light and dark that sends our heroes on a collision course with destiny. Meanwhile, in Storybrooke, Hook’s centuries old lust for revenge against Gold puts both of their fates in jeopardy while Emma’s love faces the ultimate test as she tries to convince Hook to turn away from the darkness before she, Mary Margaret, David and Regina embark on a new mission as an unsuspected evil is released, on “Once Upon a Time,” Sunday, November 29th on ABC. Marvel's Agents of SHIELD 3x09 "Closure" - Ward's campaign for revenge brings the S.H.I.E.L.D. team to their knees, and Coulson proves he will do anything to settle the score, on “Marvel’s Agents of S.H.I.E.L.D.,” Tuesday, December 1st on ABC. Marvel’s Agent Carter returns for a second season of adventure and intrigue, starring Hayley Atwell in the titular role of the unstoppable agent for the SSR (Strategic Scientific Reserve). Dedicated to the fight against new Atomic Age threats in the wake of World War II, Peggy must now journey from New York City to Los Angeles for her most dangerous assignment yet. But even as she discovers new friends, a new home – and perhaps even a new love – she’s about to find out that the bright lights of the post-war Hollywood mask a more sinister threat to everyone she is sworn to protect. Z Nation 2x13 "Adios, Muchachos" - All hell breaks loose when it's discovered that Dr. Kurian's Z-Vaccine doesn't work at all and anyone who has been inoculated is now susceptible to Murphy's unique brand of mind manipulation. Meanwhile, Warren tries to free Vasquez after he's sentenced to death by La Reina. This January, it's lights, agents, Carter! America's top agent is heading to Hollywood for action, romance, and a whole lot of kicking. Marvel's Agent Carter Season 2 premieres January 5th on ABC! iZombie 2x08 "The Hurt Stalker" - Detective Babineaux (Malcolm Goodwin) arrives at the crime scene of a wedding planner who was shot to death, and is shocked to realize that he used to date the victim. To make matters worse, we learn that the murder victim was stalking Detective Babineaux, and that he is now the number one suspect in her murder. Liv (Rose McIver) and Ravi (Rahul Kohli) pose as an engaged couple in order to infiltrate the victim’s wedding planning business. Meanwhile, Major (Robert Buckley) is having a tough time dealing with Liv on stalker brains. Michael Wale directed the episode written by Sara Saedi (#208). 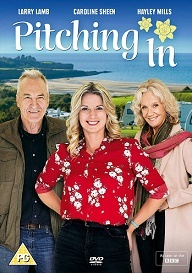 Original airdate 12/1/2015. Supernatural 11x08 "Just My Imagination" - Sam (Jared Padalecki) is shocked when his childhood imaginary friend Sully (guest star Nate Torrence) makes an unexpected appearance. Sam can’t understand why he’d see Sully now but what’s even more surprising is that Dean (Jensen Ackles) can see him, too. Flashbacks reveal young Sam’s friendship with Sully and why he needed him. Richard Speight, Jr. directed the episode written by Jenny Klein (#1108). Original airdate 12/2/2015. Once Upon a Time 5x10 "Broken Heart" - There's nothing worse than a vengeful pirate with dark magic. Once Upon a Time is all new Sunday November 29th on ABC! The Walking Dead 6x07 "Heads Up" - Alexandria is finally able to begin pulling itself back together; peace is embraced between the two groups. Marvel's Agents of SHIELD 3x08 "Many Heads, One Tale" - The S.H.I.E.L.D. team discovers dangerous truths about the ATCU, and Ward’s plans to destroy S.H.I.E.L.D. take a surprising twist, on “Marvel’s Agents of S.H.I.E.L.D.,” Tuesday, November 17th on ABC. The Flash 2x07 "Gorilla Warfare" - Grodd returns to Central City and kidnaps Caitlin (Danielle Panabaker). Barry (Grant Gustin) and team race to find her before it’s too late. Meanwhile, Cisco (Carlos Valdes) plans his first date with the new barista at Jitters, Kendra Saunders (guest star Ciara Renée) and Patty (guest star Shantel VanSanten) begins to suspect Barry is hiding something from her. Dermott Downs directed the episode written by Aaron Helbing & Todd Helbing (#207). Original airdate 11/17/2015. Gotham 2x10 "The Son of Gotham" - Gordon confronts a suspect who is connected to Galavan, but falls short of obtaining any information. Meanwhile, Bruce gets one step closer to discovering the name of his parent's killer in the all new 'Rise of the Villains: The Son of Gotham' episode of GOTHAM airing Monday, November 23rd on FOX. Minority Report 1x09 "Memento Mori" - Blake withholds information from the Defense Intelligence Agency when he learns they are on the precogs' trail, and Arthur takes matters into his own hands to save them. Meanwhile, Dash gets a vision of a political assassination that intrudes into Vega's personal life in the all-new 'Memento Mori' episode of MINORITY REPORT airing Monday, November 23rd on FOX. Blindspot 1x10 "Evil Handmade Instrument" (Fall Finale) - In the thrilling mid-season finale the team goes after a group of sleeper spies that have just been activated and race to stop a slew of assassinations. Starring Sullivan Stapleton, Jaimie Alexander, Marianne Jean-Baptiste, Rob Brown, Audrey Esparza, Ashley Johnson and Ukweli Roach. Guest starring Michael Gaston, Logan Schuyler Smith and Amy Hargreaves. Sleepy Hollow 3x08 "Novus Ordo Seclorum" (Fall Finale) - In the aftermath of Jenny and Joe's run-in with Sophie, Abbie is in deep water with Reynolds. 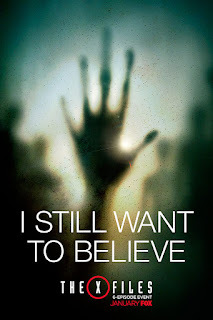 Meanwhile, the Witnesses deal with lasting implications of the shard and find themselves in grave danger as they come face-to-face with a greater evil than they could have imagined. 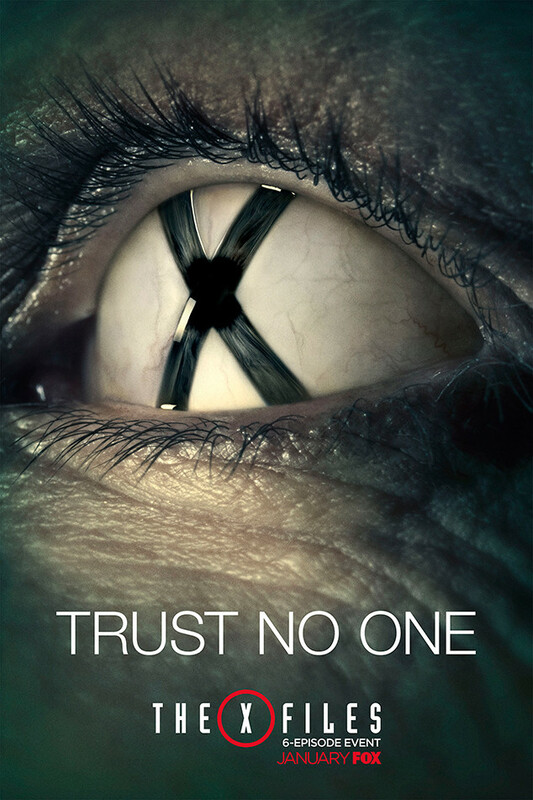 Tune in to the all-new Novus Ordo Seclorum episode of SLEEPY HOLLOW airing Thursday, November 19th on FOX. Supernatural 11x07 "Plush" - Sheriff Donna (guest star Briana Buckmaster) calls Sam (Jared Padalecki) and Dean (Jensen Ackles) for help after a horrific murder with supernatural elements happens in her town. Sam continues to have visions and asks God for help, which frustrates Dean. Tim Andrew directed the episode written by Eric Charmleo & Nicole Snyder (#1107). Original airdate 11/18/2015. Arrow 4x07 "Brotherhood" - Team Green Arrow’s ongoing battle with Damien Darhk (Neal McDonough) is complicated by a shocking revelation. Thea’s (Willa Holland) bloodlust returns and she loses control in front of Alex (guest star Parker Young). James Bamford directed the episode written by Speed Weed & Keto Shimizu (#407). Original airdate 11/18/2015. Martin Beck is one of Nordic Noir’s first and definitive Scandinavian detectives epitomising the good-cop bad-cop routine alongside his petulant partner, Gunvald Larsson. 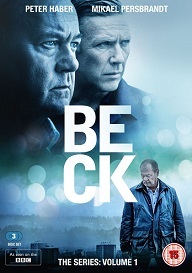 Based on the characters of the hugely popular Martin Beck detective series of novels by Swedish husband-and-wife writers Maj Sjöwall and Per Wahlöö, Beck sees the much-loved detective brought to life on the small screen. Beck is arguably the originator of what has become known as Nordic Noir. 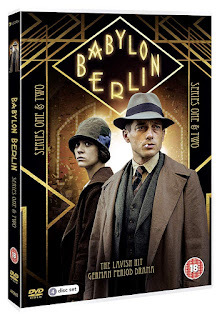 This collection of five feature-length films (Four from the latest season and one from the previous, the latter receiving a theatrical release in Sweden) sees detective Martin Beck investigating the shocking death of a young woman found strangled in a hotel room, a gangster kingpin executed by a sniper in front of his family, a terrorist attack and a suspicious hospital death which sourly turns out to be premeditated murder. 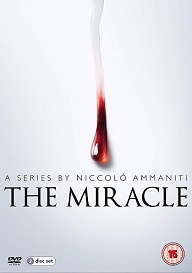 It’s an intricate web of characters and lies and the killer is never who you expect it to be. Starring Peter Haber (The Girl With The Dragon Tattoo) as Beck and Mikael Persbrandt (The Hobbit: The Desolation Of Smaug, Salvation and The Hypnotist) as Larsson, the drama’s combination of complex woven details of police detection and beautifully realised characters combined with twisting, masterful storylines has ensured that the award-winning series won fans and acclaim from around the world. Which actor plays Beck in Beck The Series? Heroes Reborn 1x09 "Sundae, Bloody Sundae" - He's the future's greatest hope, but will the truth about Tommy's past threaten those closest to him? And when the timeline is altered, who can they trust? Heroes Reborn is all-new next Thursday on NBC. Sleepy Hollow 3x07 "The Art of War" - When Reynolds heads to D.C. to discuss developments in the Nevins case, Abbie is left in command. Jenny and Joe deal with unexpected consequences as a result of stealing the shard, which leaves both the lives of the heroes and Abbie’s career in great peril. Meanwhile, a new, more dangerous evil force is revealed in the all-new “The Art of War” episode of SLEEPY HOLLOW airing Thursday, November 12th on FOX. Grimm 5x03 "Lost Boys" - Rosalee (Bree Turner) goes missing after a band of orphaned children target her as the mother figure they have always wanted. 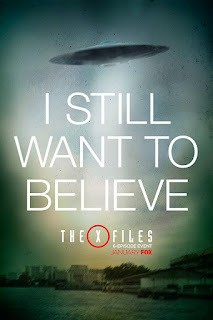 With a furious Monroe (Silas Weir Mitchell) by their side, Nick (David Giuntoli) and Hank (Russell Hornsby) race against the clock to find Rosalee after discovering a connection to an earlier missing persons case that didn't end have a happy ending. Meanwhile, Adalind (Claire Coffee) ponders a return to her career after running in to an old colleague. Sasha Roiz and Reggie Lee also star. Marvel's Agents of SHIELD 3x07 "Chaos Theory" - As Daisy and the team fight to protect Inhumans, S.H.I.E.L.D. discovers the shocking truth about one of their biggest foes. Meanwhile, Fitz helps Simmons recover information that could lead them back through the portal, on “Marvel’s Agents of S.H.I.E.L.D.,” Tuesday, November 10th on ABC. 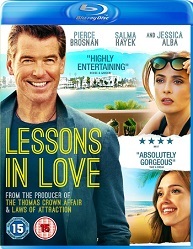 By day, Richard Haig (Pierce Brosnan, is a well-respected professor at Trinity College in Cambridge, where he teaches 18th century romantic poetry. By night, Richard indulges his own romantic fantasies with a steady stream of beautiful undergraduates, including his most recent beau Kate (Jessica Alba). But when Kate tells him that she is pregnant the confirmed bachelor has mixed feelings as he s just met, and fallen for, her gorgeously sassy sister Olivia (Salma Hayek). Richard and Kate move to Malibu to raise their son Jake and Olivia returns to New York. Richard is devoted to his son and the few two years on the Pacific are idyllic. But professionally he has stalled and Kate has been distant, so Richard is a little hurt but not surprised when Kate confesses she has fallen in love with a younger man, Brian (Ben McKenzie). Richard wants to stay in the U.S. for Jake, but also to be with Olivia who has moved in, along with his father Gordon (Malcolm McDowell), who convinces Richard not to give up and do whatever it takes to hold his family together.